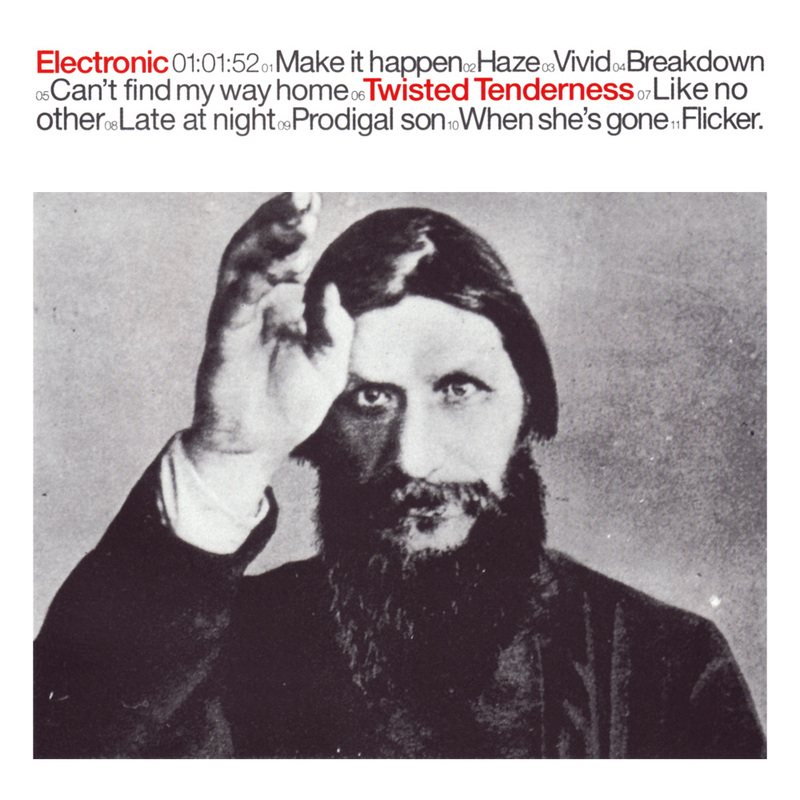 Raise The Pressure, Electronic's 1996 release, was met with mixed reviews as many felt it was less imaginative than their self-titled debut. Radio airplay didn't help the album either but it did hurt the release of the duo's follow-up album which wouldn't get released in the U.S. until nearly a year and a half after it's U.K. counterpart. Koch Records decided to not only release the album but to release a double-CD deluxe version containing extra tracks and remixes. On the very first track, Electronic step out of all expectations and throw down the gauntlet with the rock meets drum 'n bass first single "Make It Happen." I will probably always be haunted by how the harmonica and keyboards meld on "Vivid." Who would have thought to add the harmonica mastery Johnny Marr had previously applied on The The albums to an Electronic album? The title track opens with keyboard stabs that I'd expect from Electronic or New Order but Bernard Sumner turns it into something new with a tremendous vocal performance on a throbbing bass line and rock drums. Actually, the rock edge is all over this album on tracks like "Prodigal Son" and "Like No Other." The only song that really sounds like any of their earlier work would be "When She's Gone." The beauty of "Warning Sign" (amongst the bonus tracks on the disc 2) alone makes going with the deluxe release worthwhile. My only complaints are with the 4 remixes of "Prodigal Son" (I mean, come on...there are 8 other tracks there without remixes) and "Radiation" which is definitely b-side material. Lyrically, Sumner has grown exponentially. Marr's influence seems more present and adds some new sonic avenues to a duo that might have been pigeonholed by their name. I was wary of buying this album as an import ($30 for a CD? Shoot me now!) when it was first released. I'm happy that I didn't. I wouldn't have listened to anything else. You can go through life denying it but one of the most important performers of the 1980's was Madonna. Her music defined a female artists role in music during the decade. Everything from her attitude, dress, changes in musical direction and even the controversy has kept her in the public eye and ear. This brought her a total of 19 songs in the Top 20 of Billboard Magazines charts during the 80's. And with all this I have been burnt out on her since 1986. It wasn't until last year that I finally bought a cd of her's You Can Dance (a collection of dance remixes to dj.) Most likely the blame could fall on the radio overplay of her songs. I always figured that she never stopped long enough for a backlash to occur. The release of Virgin Voices which is a tribute to the music and marketing genius of Madonna marks a change in my opinion. Voices contains 14 tracks from "Holiday" by Heaven 17 to "Frozen" by Gene Loves Jezebel. The artists on the cd also shows a great diversity in some of the people who she has inspired. Cleverly this 'then to now' collection is covered by some of the 80's finest artists and some upcoming ones. Dead Or Alive come up with a brilliant reworking of "Why It's So Hard" that makes you wonder where they've been hiding their talent. I can keep praising the likes of Berlin, Annabella Lwin (Bow Wow Wow), Front Line Assembly, KMFDM and even a bonus backing vocal on one track by Boy George... but you just have to hear it. So the best and the worst of this collection... The worst Loleatta Holloway's cover of "Like A Prayer" could have been produced better. She has a soulful voice which could have been used better if the whole song was done in a gospel tone. Instead it's backed with something resembling disco and pretty much mocks the original. Unusual, but the best I heard here was Information Society's version of "Express Yourself." I don't know if this song ever could have been an anthem... but it feels like one now. This sounds like they wrote it! Which is a compliment to both Madonna and InSoc. I can only hope this is released as a single. So I hit a crossroad with this album. It has opened my eyes to the 'Material Girl' in me and I have a renewed faith in the music of the 1980's. Also, I am very impressed by the recordings put forth by the performers here... there is a future beyond our last decade and this has helped them move right into it. This is a definite buy and I'm eagerly awaiting Volume Two which promises more of what I loved here. I feel like breaking out "La Isla Bonita" right now.